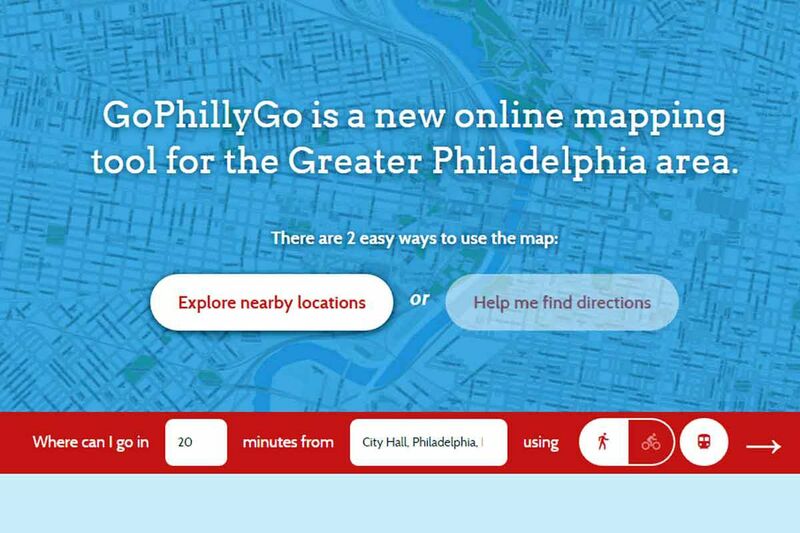 Like a more nuanced Google Maps, GoPhillyGo.org will help you plan a route that combines walking, biking and public transportation. The recent Regional Rail delays have turned riders' commutes into a guessing game of "when will my train come?" But these online and mobile tools can help take the uncertainty out of your travel plans and show you new ways to get to your destination. Transit apps. Transit Tracker, Transit App, Citymapper, and the SEPTA app all provide similar information on train and bus arrival times based on GPS data, where available. This means that the apps will tell you where your train or bus is, but typically with a three-minute delay. Third-party apps draw their information from data that SEPTA makes available, meaning that the times displayed on the apps should be the same. What's different is their additional features. Sascha Segan, lead mobile analyst at PCMag.com, said the best transit apps tie in additional modes of transportation, such as bike-share locations and taxi services. His favorites - Citymapper, followed by Transit App - show Indego bike-share locations with the number of bikes and spaces available and tie in with Uber to show the nearest cars. Citymapper will also show you how to get to your destination by bike and how many calories you'll burn. With Transit App, you have the option to uncheck Regional Rail if you'd like to avoid it altogether. GoPhillyGo.org. Like a more nuanced Google Maps, this Website will help you plan a route that combines walking, biking, and public transportation. It even shows bike routes and ride-sharing locations. The map still includes Regional Rail lines, so be sure to check your options carefully. Bear in mind that if you hop on the subway during rush hour (6 to 9 a.m. and 3 to 6 p.m.) no bikes are allowed, with similar restrictions on Regional Rail, and bikes are not allowed on trolley lines. BicycleCoalition.org. The Bicycle Coalition of Greater Philadelphia has conveniently mapped out ways to commute by bike. One of its interactive maps on Google shows the bike paths and Circuit Trails extending through the suburbs. If you view the map in full screen, you can turn the different paths on and off to see specific routes. Another map shows the bus stops closest to the Circuit Trails. You can stick your bike on the front racks of the bus or lock it up nearby. Philadelphia Traffic Cam +Map. If you decide to brave the rush-hour traffic by car, this app can help make your commute a little smoother. Stay on top of the routes with the heaviest traffic by accessing PennDot cameras right on your phone without having to search the Web. Look for camera locations on the map and save the cameras relevant to your route so you can access them right away. The app costs $2.99 to download.